Iconic locomotive the Flying Scotsman is nearing a return to the train tracks. After more than a decade out of action, the finishing touches are being put on the restoration project that could see the steam train return to service in a matter of months. The locomotive was bought by National Railway Museum in 2004 for £2.3 million with costs of the restoration currently at £4.2m. The successful bid included £415,000 raised by the public and £365,000 donated by Sir Richard Branson, plus a £1.8m grant from the National Heritage Memorial Fund. Since that time, it has been going through a thorough restoration. Bob Gwynne, curator of collections and research at the National Railway Museum, said Flying Scotsman's inaugural main line run from London to York is scheduled to be the opening event for the museum's February Flying Scotsman Season. He said: 'The fitting of the equipment for the mainline really makes its return a reality. 'We still anticipate that the restoration work to return Flying Scotsman to steam will be completed in late 2015. This will be followed by a full programme of running in tests on heritage lines. The work on the Flying Scotsman is being carried out undertaken by Riley & Son Ltd in Bury, Greater Manchester who were appointed to complete the work in Autumn 2013 as an outcome of their successful tender bid to take on the high-profile work to bring a national steam icon back to the mainline. 'We have come through all the critical milestones for a locomotive restoration and although there is a lot of work still to get through and parts to fit, there is nothing significant standing in the way of Scotsman coming back to steam,' said Riley's co-director Colin Green. Engineering specialists First Class Partnerships are continuing to provide specialist engineering and project management advice to the museum with regards to this complex project. Once the return to mainline operation is complete, a commercial partnership agreement has been reached, under which Riley & Son Ltd will manage the operation of the locomotive for a period of two years. This will include a programme of ongoing maintenance and helping to resolve any issues that may arise. Andrew McLean, head curator at the National Railway Museum said: 'The loco has been changed so often over the past 90 years that it is now practically impossible to present it in a wholly historically accurate appearance. 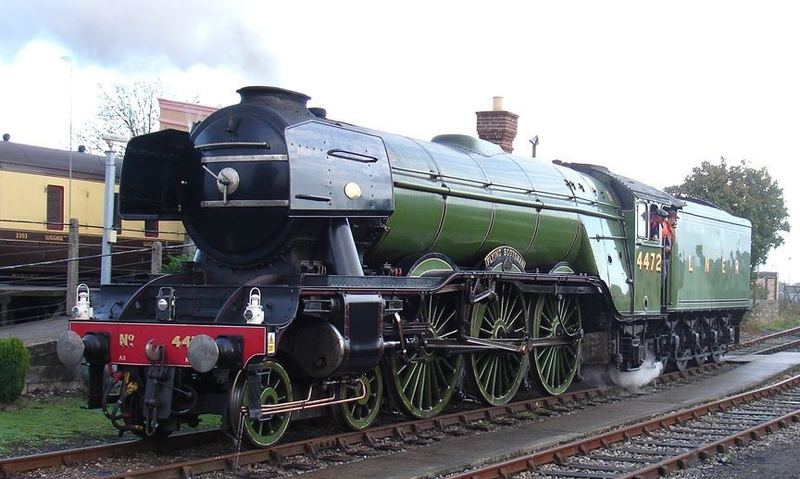 'As well as the currently most well-known guises of the apple green 4472 and the BR green 60103, Flying Scotsman has also been numbered 1472, 103, and 502. Built in Doncaster in 1923, the locomotive was named the 'Flying Scotsman' after the London to Edinburgh rail service which had been running since 1862, and was the first train to complete the 392-mile route non-stop on May 1, 1928, as well as being the first to break the 100mph barrier in 1934. Since then it has had various owners including record producer Pete Waterman, and has toured the United States and Australia where it set its second world record, for the longest non-stop run by a steam locomotive. 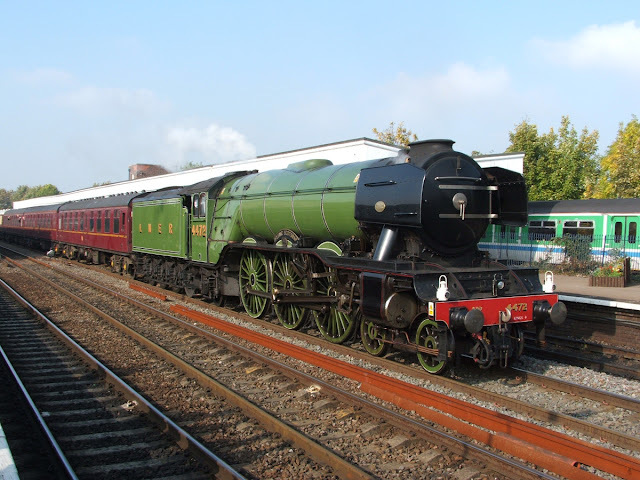 The Flying Scotsman made a special charter journey in 2005 before being moved to the National Railway Museum in York for complete restoration.